What do top mobile apps do to drive increased engagement and retain more users? They make use of several UX best practices, and they’re simple to apply. And now you can learn them. 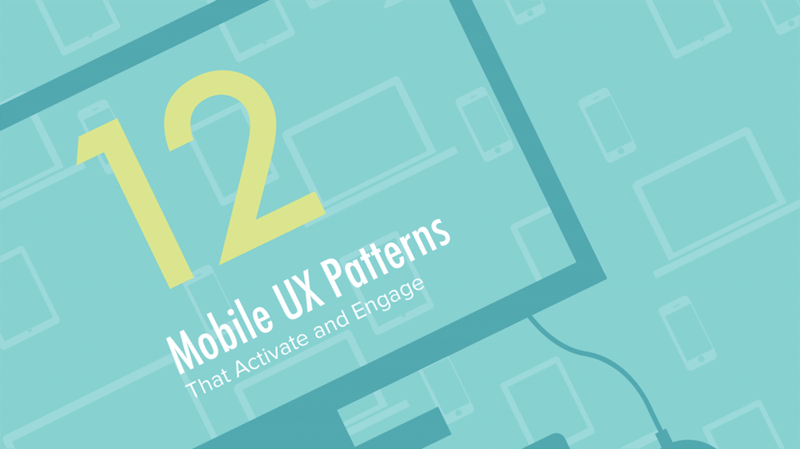 This free guide, “12 Mobile UX Patterns That Activate and Engage”, shows you twelve actionable techniques you can use in your app to increase user motivation and engagement. Learn how to motivate users to take actions that engage and retain. Review 12 different UX techniques with examples from top apps like Waze, Foursquare, Glassdoor, and others. Utilize strategies from Stanford Psychologist BJ Fogg to understand how to motivate and enable users to interact. Apply these techniques to improve your app and engage and retain more users.